Marketing to in-boxes delivers hideous open rates, so why not do something that is sure to grab the attention of an existing or potential client? Try old-fashioned direct mail. Smart marketing to your current client base will reduce the need to chase new clients. We’ve all have heard the phrases “You get what you pay for” and “Penny wise and pound foolish.” Whatever expression you prefer, the message is the same: What you put out is what you get back. That being said, emails are free for a reason. Not too long ago, the amount of daily mail received in our home mailboxes was almost overwhelming. Bills, catalogs, solicitations — the list is endless — created so much visual confusion that little stood out in the sea of paper. Fast-forward to the present day. 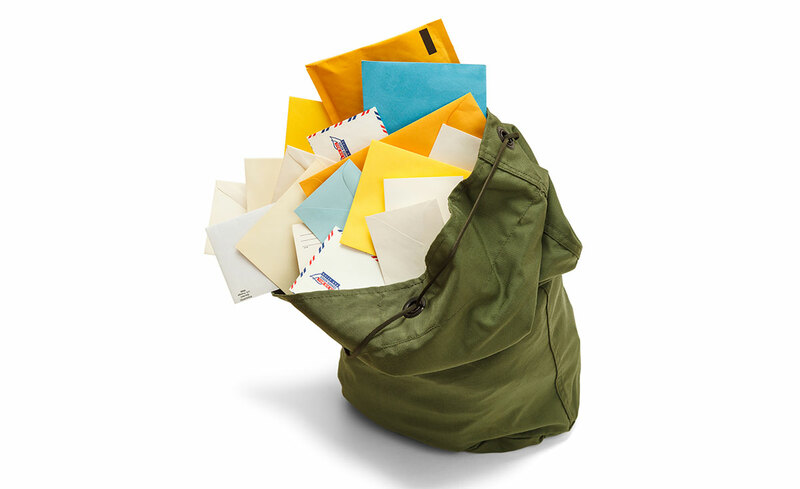 Many of the items that used to arrive via letter carrier now show up in emails, and at a staggering rate. Our inbox has become a place where messages are only as relevant as the page they are seen on. Once an email is marked as “read” or does not fit on the first page, it is almost always forgotten and buried by the next batch, creating a user experience that is unpleasant and ineffective. It’s a never-ending cycle. Emails have created such a level of inundation and saturation that they rarely do what they are supposed to do, which is get opened and get read. 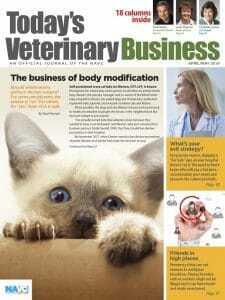 According to Constant Contact, the open rate of an email sent in the companion animal profession is below 13 percent. Surprisingly, the open rate is one of the highest of all industries surveyed. If your goal is to attract, engage and enlighten your clients with an email, the sooner you break the habit, the better. Instead, redirect your marketing efforts and pay for postage. Due to the huge reduction in paper mail over the last 10-plus years, your client’s mailbox is valuable real estate these days. Direct mail allows content you want to convey to be delivered in a highly personalized, highly visible manner, giving recipients a break from the digital mountain they have to climb each day. Your clients want to feel as special as you consider them. They are ready for a break from the boring and mundane. They want to feel the personal connection, which is something that can never be achieved electronically. Granted, direct mail will cost slightly more than email marketing, but here is the catch: When done correctly, the money is an investment, not a cost. Take, for instance, a “new client acquisition” direct-mail campaign in which a qualified partner company will work with you to develop a list of client prospects in a set radius from your hospital. You choose their income level, the types of pets and their distance from the practice. A list of 500 to 5,000 names and addresses is generated. Now you can deliver a highly visible, acutely targeted mailing with a strong offer and eye-catching design into the prospective client’s mailbox for under a dollar, including postage. If the campaign brings you one new client, the effort might more than pay for itself. Many practices will get several new clients on the first try. The key to these campaigns is working with a trusted partner that knows what it is doing. In addition to new-client advertising, a regular mailer to your current client base is more important. A well-written newsletter is the single most important marketing effort a practice can make to boost foot traffic and sustain revenue growth. Keeping your clients educated is the key to successful marketing. When done with consistency, the results delivered are undeniable, but only if the newsletter is read. While most practices believe their e-newsletter is golden, other companies think the same way when they send theirs to your client. The truth is that all the newsletters are pretty much well done. The problem is that the constant recurrence of the “E-newsletter” subject line causes the recipient, your client, to glance over them and move on. When you say, “Emails are free,” understand that’s not really the case. The cost is buried in the expensive software your practice uses or is reflected in the membership fees paid to services like Mailchimp and Constant Contact. Then factor in the time you or your employees take to generate the emails. And remember that, at most, only about 13 percent of emails are being opened. Are more resistant to your competitors’ solicitation efforts. But only if they read what you send them! Life is a numbers game in many ways. The more people who get your messaging, the more successful it will be. Why not guarantee that what you send is getting read? Isn’t that worth a little money upfront, even as a test? Marketing is a fancy word for communicating. The cornerstone of successful marketing is consistency. Fancy marketers call this the Rule of Seven, meaning the average person needs to see something seven times before he or she commits it to memory. If someone reads your emails about 10 percent of the time, how long before they’ve seen it seven times? Is it really worth the effort? Smart marketing to your current client base will reduce the need to chase new clients. Help put your practice on autopilot by nurturing your clients in a way that is unique, intimate and guaranteed to get a response. The traditional mailbox holds the key to unlocking huge potential for increased revenue, client loyalty and your financial freedom. As I like to say, why blend in when you were meant to stand out? Dan Truffini is the founder of DVM Profit Zone. Learn more at www.dvmprofitzone.com.